I mark 2005 as the true beginning of my international travel experience. Since then, the way I view travel has changed as I’ve seen and done more. This post marks the first in a series that collects and compares what I’ve learned. Let’s get it started with “What’s Australia Like?”, a look at what you can expect from a visit Down Undah. Watch for more “What’s It Like?” posts in the future. What do I mean by that? Australia struck me as a place that strikes a near-perfect balance of everything that I like in life. I saw a lot of hard-driven, Type A people on the move in Sydney. But they also had the sense to know when it’s time to relax. People love watching their Aussie rules football, rugby union and cricket matches – but I got the sense that many people love actually playing as well as watching. People talk to each other easily, even to strangers. Black sapote fruit – one of the many exotic tastes you’ll find in Australia. That’s me havin’ a blow on the didge. I also love Australia’s adventurous food options. It’s close to Southeast Asia, so you have some of that influence seeping into all sorts of great regional ingredients. Kangaroo is a fixture on a lot of menus, as is the mild fish called baramundi (takes very well to a good curry). To this day, I’ve not had a better cheesecake than the outrageous example I had at the Mungalli Creek Dairy just outside Cairns. The beer scene lagged at the time, but my bet is that it’s improved (if the delicious Galaxy hops I had in a craft beer is any indicator). This might surprise you, but Australia also grows great coffee beans, and skilled baristas turn those beans into great espresso drinks (they’re not as into the brewed coffees). 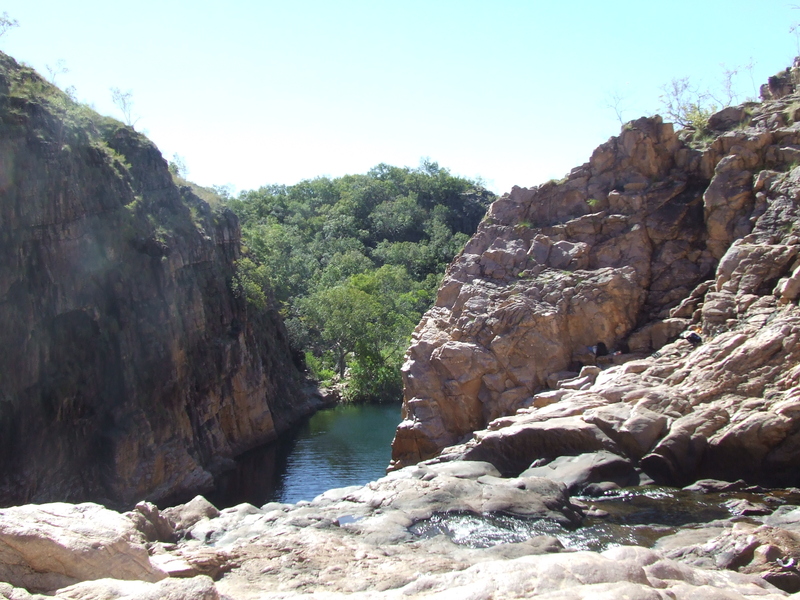 Up in the Kakadu … the mythical Australia of the big screen. And that scenery! You have everything from desert in places like Coober Pedy to thick tropical rain forests near Cape Tribulation. The coasts are scenic beyond belief. I realize it’s impossible to get the essence of a country in just one two-week visit … especially one as large as Australia. Still, I think my observations have some value for anyone considering a visit. People from around the world laugh at Americans who show up with just two weeks to spend – until our country catches up with the rest of the First World when it comes to vacation time, that’s pretty much what most of us can afford. Any less is barely worthwhile. 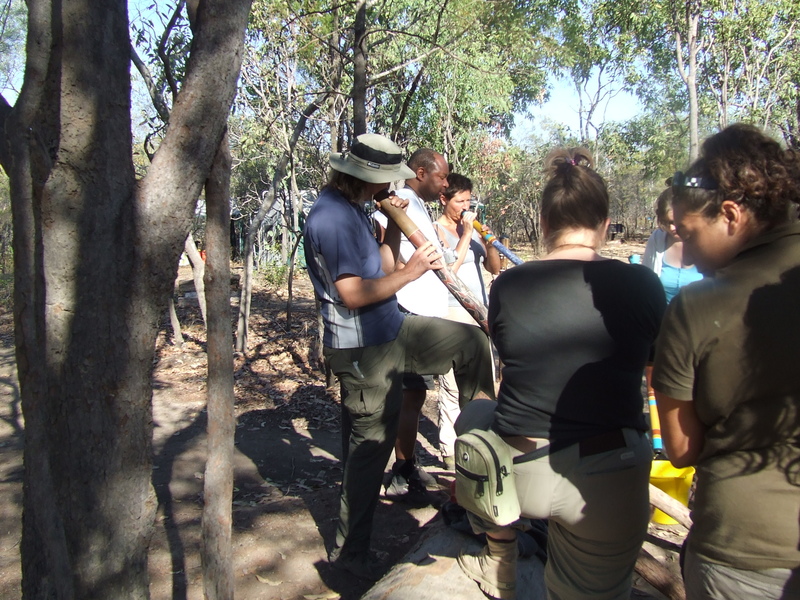 Whether you spend your entire time on the beach or head into the Kakadu for an expedition, you will have an unbelievable time. Pretty good run-down. The food is really underrated in Australia – can’t wait to go back! Next Re-Thinking Foreign Language Studies in the U.S.